If you are caught with illegal firearms or other weapons in Florida, you could face serious criminal penalties – especially if you were in possession of several illegal weapons. To protect yourself in the event that you were arrested for the unlawful possession of firearms, it is imperative that you seek the legal advice of a Tallahassee firearms & weapons offense attorney. At Zelman Law, our criminal defense lawyer will help you fight the charges against you by investigating the facts of the case and questioning the evidence produced by the prosecution. For the best and most effective defense, contact our law firm as soon as you learn of the charges against you, as the more time we have to investigate the charges, the more time we will have to build a sound defense. 25 years to life in prison for wounding or injuring any person with a firearm. Florida enacted this provision in an attempt to reduce the amount of weapons violence in the state, and to get tough on criminal weapons activity. At Zelman Law, our Tallahassee unlawful possession of firearms and other weapons offenses attorney understands what is at stake if you are convicted, and so will utilize everything in our wheelhouse to ensure that the charges are dismissed. 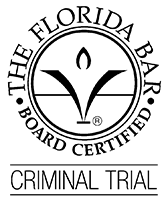 Two laws that we will utilize in your defense include the Castle Doctrine and Florida’s Stand Your Ground provision. Under each of these laws, Florida residents are legally allowed to defend themselves against attempted carjacking or home invasion robbery without fear of legal backlash. If you were charged with the unlawful possession of firearms in Tallahassee, do not let yourself be locked up for 10 or more years. Call our criminal defense lawyer at (850) 765-5948 between 8:00 and 5:00 pm, Monday – Friday. If it is after hours, contact us online to reserve your appointment.